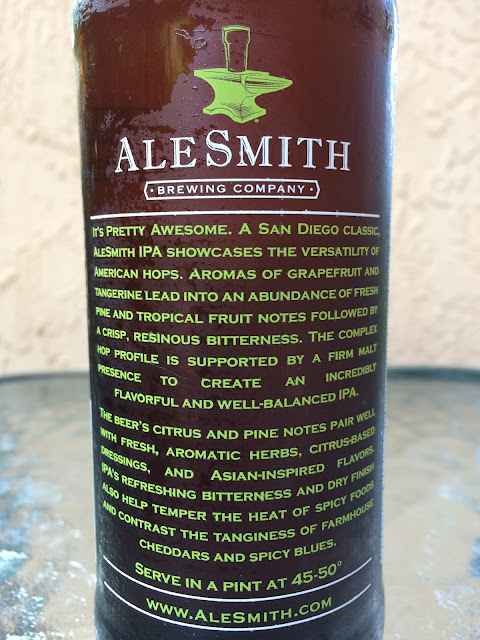 So Total Wine in Florida has another Brewery Direct set of beers from Alesmith Brewing out of San Diego. I hope you get to read this before they are all gone since I've been sitting on a few reviews for a week or two! I grabbed three bottles: IPA, Nut Brown (English Style Brown Ale) and Lil Devil (Belgian Style Pale Ale), and, duh, started with the IPA. As with each bottle, the design is simple but bold and includes some copy on the back setting your expectations and offering food pairing advice. This particular bottle's story starts with "It's Pretty Awesome," so I have pretty awesome expectations. 7.25% alcohol. Serve in a pint at 45-50°F. 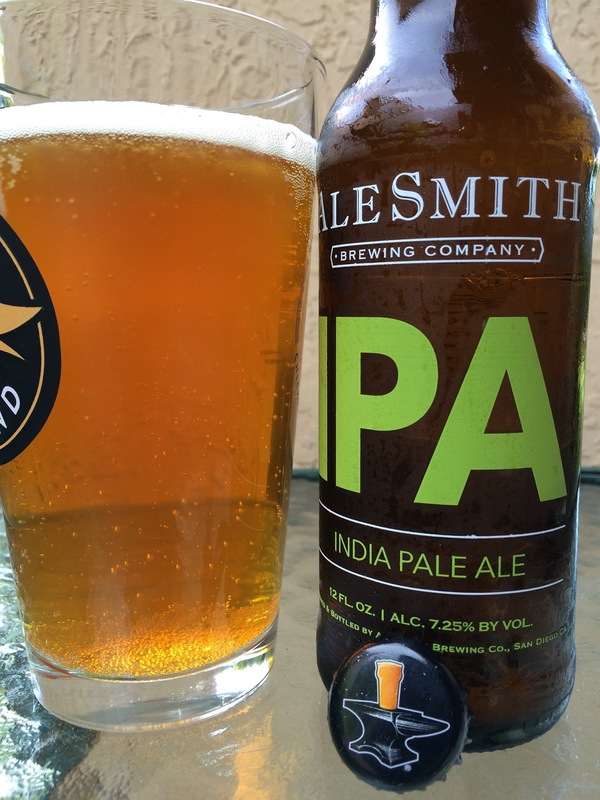 Fruity aroma, full of citrus, especially tangerines, and just a touch of pine. The pine shows up full force with the first sip though and really works well with the big dose of tangerine citrus that also runs this beer start to finish. Oh wait, there it is. I let half the beer sit on the counter for a little while, and some orange sweetness does show and take some of the bitter edge off. But of course that was above 50°F so I broke another rule. Anyway, nice beer and check it out!